Join us in the carriage barn for the first concert of the season! Tickets are pay-what-you-will. Tony Lu was born in Wuhan, China in 1997. He started learning and playing the piano at age 5 and due to his visual impairment, Tony has always learned music by ear. In 2013 he moved to the US to study in St. Louis, Missouri. Tony joined the Webster University Chamber Music Preparatory Program in 2014 and performed numerous piano chamber works until he graduated in 2015. In the same year, he won the Alton Symphony Orchestra concerto competition and performed the Mozart piano concerto in D minor. He also got the second place of the Chicago Young Artist Chamber Music Competition with his chamber music collaborators. In addition, Tony had a successful performance at his high school senior recital, in which he performed Gershwin's Rhapsody in Blue and Mussorgsky's Pictures at an Exhibition. Tony started studying at Bennington College in 2015. His concentrations are Mathematics, History and Piano performance. Tony has worked closely and performed with many Bennington College faculty including Christopher Lewis, Yoshiko Sato, Joan Forsyth, Bruce Williamson, Nathaniel Parke, Kaori Washiyama, John Kirk and Allen Shawn. Tony also works as a piano tutor and accompanist helping students in the music department. Together, Tony performed piano duet music, chamber music and concertos with faculty and students, in many venues, on and off campus, including with Sage City Symphony and Third Street Music School in New York City. Tony is currently offering a lecture series on the subject of western classical music history and music appreciation in Spring 2018. These lectures are going to be organized based on the historical contexts and the applications of performance practice, throughout the whole term of Spring 2018 and open to the public. In addition, Tony is also an active faculty member of Sonata International Piano Camp and Summer Sonatina International Piano Camp in Bennington, Vermont. 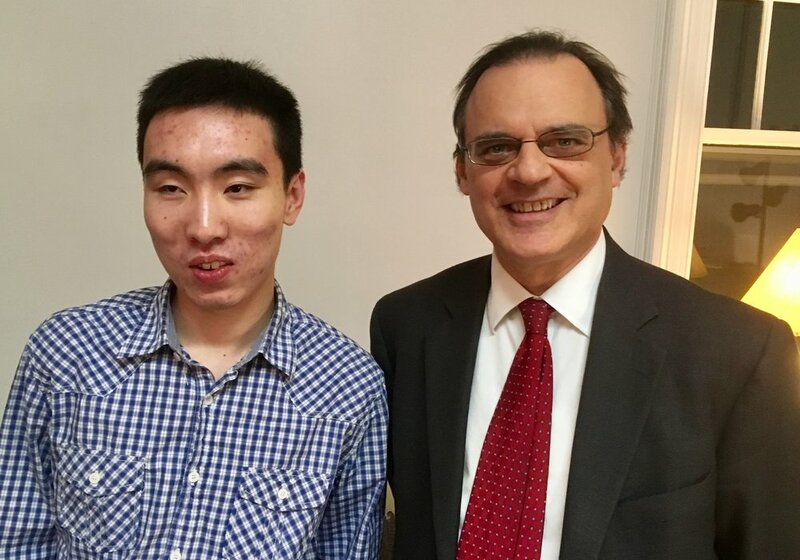 Tony is hoping to continue studying in Piano performance and history at graduate school, as well as pursuing in the field of performing and education in the future. Christopher Lewis has taught and performed throughout the U.S., Italy and British Columbia. He has given concerts in such major venues as Carnegie, Weill, and Alice Tully Halls (NYC); Orchestra Hall (Detroit); Empire State Performing Arts Center (Albany); Southern Vermont Arts Center; and the Bennington Center for the Arts. Christopher Lewis is a prizewinner of the American National Chopin Competition and the New York Leschetitzky Society. He has held faculty positions at New York University as well as several private schools in New York City and since fall, 2010 has been an instructor at Bennington College.